Our broad based experience, quantitative approach and focus on disciplined investing makes us different. 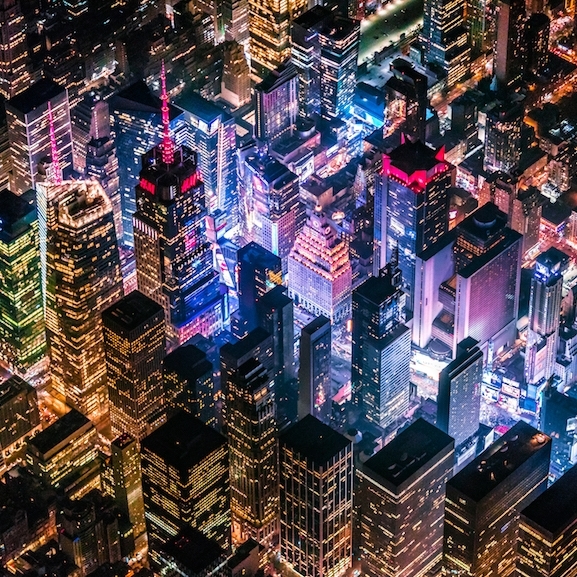 Hull Street Energy invests in middle market power companies that are strategically positioned for growth as North American fuel supply, generation, transmission, and behind-the-meter assets transition to support a more sustainable future. We have built a business that is singularly focused in its approach and capabilities. Our experience is not only long in years, it is broad across the energy spectrum. Our team has decades of extensive and wide-ranging experience buying, selling, owning and operating energy businesses. We have managed energy assets through their entire lifecycle from development to rehabilitation to retirement. We have operated gas, oil, geothermal, biomass, hydro, solar and wind-powered generation stations—and provided electrical service to millions of customers. We have managed energy commodity, fuel handling, environmental compliance, retail supply and other related electricity service companies. We have worked for small start-ups to Fortune 100 companies; including independent power producers, electric utilities, investment banks and private equity investment firms. Our quantitative approach to investing is distinguished by a balanced integration of sophisticated financial and deep technical fundamental analysis. Our adept transaction structuring skills, substantial operating expertise and close attention to detail enable us to execute numerous complex power transactions efficiently. The cornerstone of our systematic investment process is our unique and proprietary quantitative valuation techniques, analytical tools and risk-management systems. Our quantitative analytics and investment protocols help us provide pricing to transaction counterparties in an expedient manner, and to achieve differentiated and attractive risk-adjusted returns for our stakeholders. We are highly disciplined investors. We maintain strategic focus without missing opportunities. We are vigilant about measuring and managing risk through consistent and iterative optimization. Our systematic, deliberate investment process enables us to unlock value for our investors and customers, while ensuring the safety of our employees and supporting the interests of our communities. Our surveillance of environmental risk is not political or theoretical; it is fiduciary, and our governance policies reflect a commitment and attention to delivering successful, multidimensional, long-term outcomes. Our investment team has decades of intensive and wide-ranging experience investing in energy. Ms. Wright has over 25 years of senior management experience in private equity, investment banking and at energy companies. Ms. Wright joined Goldman Sachs in 1998 and helped to launch Goldman Sachs Power, the firm’s initial entry into electricity commodity markets, including the successful development of Constellation Power Source, a joint venture with Constellation Energy Group. In 2001, she became part of the senior management team at Constellation, where she held various roles within its commodity trading, investing and risk management unit, leading the development and execution of a wide range of investments. In 2005, Ms. Wright helped to establish Energy Capital Partners. She also served as a Director of FirstLight Power Holdings. She co-founded Hull Street Energy in 2014. Ms. Wright also serves as a trustee of the Sidwell Friends School. She received a B.A. from Smith College and an M.B.A. from Harvard Business School. Dr. Booth has 15 years of experience in the energy industry, focusing on the quantitative modeling and risk management of commodity markets, assets and transactions. He was an early employee of Constellation Power Source and helped build the modeling and risk management framework that supported the company’s growth by ensuring continuity between initial valuation and subsequent portfolio risk management. In 2005, he became a member of the senior management team at Constellation and provided the strategic direction relating to quantitative analysis and firm-wide pricing and risk management system design for its expansion into new markets, moving beyond power to natural gas, coal, freight and weather. He co-founded Hull Street Energy in 2014. Prior to joining Constellation, Dr. Booth held positions in the physics departments of Johns Hopkins University and the University of Florida, where he conducted research in high energy particle physics. Dr. Booth received a B.A. and Ph.D. in Physics from the University of Chicago. Mr. Hofmeister joined Hull Street Energy in 2017. His primary responsibilities include diligence, evaluation, analysis, and structuring of equity investments. Previously, he held various positions with the Walt Disney Company, where he focused on corporate finance, new business initiatives and infrastructure-related financial planning. He also served as a Harvard Business School Leadership Fellow for the Environmental Defense Fund, helping numerous states to design energy efficiency and distributed generation investment incentive programs. Prior to attending business school, he was responsible for deal origination and execution for a middle market private equity office targeting distressed buyouts in the North American manufacturing sector and the implementation of green technologies. Mr. Hofmeister received a B.S. in Environmental Engineering from Stanford University and an M.B.A. from Harvard Business School. Ms. Kebuchi joined Hull Street Energy in 2018, bringing over 15 years of experience providing administrative support to top-level executives, primarily in the private sector. She works closely with the executive team to fulfill a broad array of administrative, logistical and project management requirements. Prior to joining Hull Street Energy, Ms. Kebuchi was Executive Assistant to the CEO of Snag, an online staffing platform specializing in hourly work. Previously she served as Special Assistant to the President of The Raben Group and a team of consultants at the national public affairs and strategic communications firm. There she collaborated on initiatives with organizations and leaders dedicated to a core diversity mission. Prior to this she supported multiple C-level executives at PayPal, where she served as Secretary of their global compliance committee, as well as wide-ranging organizational, administrative, analytic and technical support responsibilities. Ms. Kebuchi graduated with a B.A. from Marymount University in 2005. Mr. Meeker is an accomplished financial executive with more than 16 years of global operational and financial experience in manufacturing, energy and investment industries. Prior to joining Hull Street 2014, Mr. Meeker was Vice President of Finance at Enviva, a Riverstone Holdings portfolio company that launched its initial public offering in 2014. Mr. Meeker was part of the executive team that grew Enviva from a startup company to the world’s largest supplier of utility-grade wood pellets for the power generation market. While at Enviva, he helped lead all corporate financing activities, including the 2012 closing on a $120 million senior secured credit facility, the first such borrowing by a wood pellet producer. Prior to Enviva, he held various finance positions of increasing responsibility at Altra Industrial Motion and Colfax Corporation, both manufacturers of industrial goods. Mr. Meeker received a B.S. in Management from Washington & Lee University and an M.B.A. from the Darden School of Business at the University of Virginia. Mr. Meeker has been a Chartered Financial Analyst (CFA) charter holder since 2000. Before joining Hull Street in 2014, Mr. Morris distinguished himself as a highly accomplished and versatile energy professional over the course of more than three decades, including 23 years at Constellation. His experience ranges from financial analysis and structured transactions to plant development and technical and operating assignments. Mr. Morris joined Constellation in the power plant development unit, where he was integral in the development of numerous plants – both in the United States and elsewhere. In 2001, Mr. Morris became part of the leadership of Constellation’s merchant plant acquisition unit. Shortly thereafter, he was assigned to the commodity transaction origination and structuring group where he was responsible for developing numerous multi-year unit contingent power transactions, as well as fossil, nuclear and renewable generation asset acquisitions and divestitures. Prior to joining Constellation, Mr. Morris worked at Geothermal Resources International, Inc. developing renewable energy projects. Mr. Morris received a B.S. from the University of Arizona and is a former Certified Public Accountant. Mr. Orman has 20 years’ experience in the energy industry, including power generation investments, risk management and trading, oil and gas investment and development and managing the mid-stream and transportation logistics associated with upstream investing. Mr. Orman spent over a decade at Constellation Energy Group, most recently acting as President of its wholesale marketing, trading and asset management arm. Throughout his years at Constellation, Mr. Orman played a lead role in designing and managing the company’s approach to commercializing its energy asset base, including developing the connection between risk management and the investment portfolio. He also led the development of numerous detailed proprietary fundamental analysis efforts and the execution of related investment strategies. Earlier in his career, Mr. Orman worked in Arthur Andersen’s Business Consulting Group where he consulted on strategy and operational issues to U.S. and international oil and natural gas producers and midstream companies. He co-founded Hull Street Energy in 2014. Mr. Orman received a B.A. from the University of Texas at Austin and an M.B.A. from the McCombs School of Business at University of Texas. Mr. Rizas joined Hull Street Energy in 2018 and has over thirteen years of experience in accounting for both public and private sectors. His primary responsibilities include accounting functions for the Hull Street management company and the various investment vehicles. Previously, he was the Controller for CNF Investments, a private equity/venture capital subsidiary of Clark Enterprises where he managed the accounting operations for several investment vehicles. He also worked at Crowell&Moring, an international law firm headquartered in Washington DC where his responsibilities included consolidating accounting operations for 6 domestic and international offices. Mr. Rizas began his career as a public accountant at Bond Beebe auditing several clients spanning a wide range of industries. Mr. Rizas received his B.S. in Accounting and Finance from the University of Maryland, College Park and is an active Certified Public Accountant (CPA). Mr. Telford has spent over a decade in the energy industry focused on investing, market operations, and business development in the power and natural gas sectors. Most recently, Mr. Telford provided consulting services to private equity and hedge fund managers interested in North American power markets. Previously, Mr. Telford worked at Constellation Energy Commodities Group and Exelon Generation Company for a decade, holding several roles within the firm’s commodity trading and investing unit, including as a Director in the firm’s Portfolio Management group and later as part of Exelon’s Business Development team. Mr. Telford has extensive experience in the Northeast, Mid-Atlantic and Canadian energy markets where he managed transaction execution processes as well as performance of the firm’s merchant generation fleet and load service obligations. Kevin Telford received a B.A. from The Johns Hopkins University, including graduate work in economics and applied mathematics. Mr. Willis has more than a decade of experience across a broad range of areas including commodity trading, transaction structuring, logistics, investment management and public policy. Previously, Mr. Willis worked at EDF Trading, one of the largest global energy traders, where he was responsible for coal origination activities. Until 2011, he was at Citigroup, where he was responsible for building the firm’s dry bulk industrial commodity trading desk and was charged with expanding Citigroup’s capabilities in physical commodities. Mr. Willis also worked at Constellation Energy Group, where he ran the firm’s global shipping business, evaluated and executed investments in various energy businesses and was part of the team that established Constellation’s successful London-based international commodity trading unit. Mr. Willis has also worked in the public sector, most notably as Chief of Staff in the Office of International Affairs at the Department of Energy, and as a member of the political staff at the White House under President Clinton. He co-founded Hull Street Energy in 2014. Mr. Willis received a B.A. from Washington & Lee University and an M.B.A. from Harvard Business School. Mr. Wynn has over 20 years of senior management experience in the energy industry focusing on operations and asset management of a wide range of renewable assets. Prior to joining Hull Street Energy in 2018, Mr. Wynn was Vice President of Operations at Brookfield Renewable Partners, LP. At Brookfield, Mr. Wynn managed a large portfolio of hydroelectric, pumped storage and wind energy assets across New England and eastern Canada. Prior to Brookfield, Mr. Wynn was General Manager of Wind Operations at Enel Green Power North America Inc. At Enel, Mr. Wynn managed a sizable portfolio of wind energy assets across North America. Prior to his tenure at Enel, Mr. Wynn held various asset management and investment positions with GE Power and GE Capital. Mr. Wynn received a B.S. in Mechanical Engineering from the United States Naval Academy, a M.S. in Chemical Engineering from the University of Rhode Island and an M.B.A. from Cornell University. Mr. McQueeney is an accomplished financial executive with more than 20 years of global operational, financial, and accounting experience in energy, software and public accounting industries. Prior to joining Hull Street in 2018, Mr. McQueeney was the Chief Financial Officer of RedOwl Analytics, Inc., a venture capital backed cybersecurity software company. He was part of the executive team that grew RedOwl from startup to acquisition by Forcepoint, LLC. While at RedOwl, Mr. McQueeney helped lead all corporate finance activities, including three rounds of venture capital funding. Prior to RedOwl, Mr. McQueeney held various finance and accounting positions of increasing responsibility at Competitive Power Ventures and Constellation Energy Group. Mr. McQueeney has served as Board of Directors member, Treasurer, and Chair of the Audit & Finance Committee for Behavioral Health System Baltimore since 2011. Mr. McQueeney received a B.S. in Accounting from Virginia Tech and an M.B.A. from the Sellinger School at Loyola University Maryland. Mr. Osteen has 20 years of experience as a senior lawyer in the energy industry, focusing on managing transactional and regulatory legal risk. He was an early employee at Constellation Power Source, Inc. and was instrumental in developing the documentary, compliance and regulatory risk framework for the organization. During his career at Constellation Energy, he was lead counsel on numerous complex material power and gas transactions nationwide. In 2009, Mr. Osteen became a member of the senior management team as General Counsel of Constellation Energy Resources, LLC, responsible for the legal work associated with wholesale, retail, mergers and acquisitions and non-nuclear generation.Following the Exelon merger with Constellation, he served as Vice President and Deputy General Counsel of the larger company. Mr. Osteen also serves as Chairman of the Board for Young Audiences of Maryland. He received a B.A. from Emory University and a J.D from the University of Maryland. Ms. Kang joined Hull Street Energy in 2018. Her primary responsibilities include a broad range of finance, accounting and reporting functions for the portfolio companies. Ms. Kang has worked in both public and private sectors. Previously, she was the Corporate Accounting Manager for JBG Smith, a newly formed REIT, where she managed accounting operations for the management company and operating company entities. She also worked at Bloomberg BNA overseeing month-end financial close and reporting. Prior to this, she was with Optum Rx where she was in charge of rebate accounting and analysis. Ms. Kang received her B.A. in Economics and MBA from the University of Maryland, College Park and MSc in Comparative Politics at The London School of Economics and Political Science. She is a Certified Public Accountant. Mr. Mann joined Hull Street Energy in 2018. His primary responsibilities include analysis and management of energy portfolio operations. Most recently, Mr. Mann held a position with Enel X in the Advisory Solutions group, where he focused on commercial and industrial retail energy supply. He was part of the analyst team which valued retail supply contracts, developed peak load forecasting models and implemented demand management strategies. Prior to entering the energy industry, he served in numerous positions at the University of Maryland’s Smith School of Business, including roles as guest lecturer of the Quantitative Finance Fellows program and data analyst in the Finance department. Mr. Mann started his career at Thomson Reuters Markets in New York, developing data analytical tools for commodities trading desks. Mr. Mann received a B.S. in Finance from the University of Maryland’s Smith School of Business. We have long-standing relationships with some of the industry’s most accomplished leaders. Bill Richardson has led a distinguished public-service career as a U.S. Congressman (1982-1996), U. S. Ambassador to the United Nations (1997-1998), and Secretary of Energy under President Bill Clinton (1998-2000). Since entering life as a private citizen in 2011, he has authored three books including “How to Sweet-Talk a Shark: Strategies and Stories from a Master Negotiator,” which was published in fall 2013. He is active on the national and international speech circuit and appears frequently on numerous television news programs, ranging from CNN to FOX, Univision, Meet the Press, and This Week with George Stephanopoulos. Richardson has also served as a Special Envoy to the Organization of American States (OAS) and as a Special Fellow on Latin America at the James A. Baker III Institute for Public Policy at Rice University. Richardson also sits on several nonprofit boards, including the World Resources Institute (WRI), Refugees International, and the National Council for Science and the Environment (NCSE). In addition, he serves on numerous for-profit boards, primarily in the renewable energy space, such as Abengoa International. Richardson has also started two foundations: The Richardson Center for Global Engagement, focusing on conflict resolution and prisoner release, and the Foundation to Preserve New Mexico Wildlife with actor and conservationist Robert Redford, which has led the charge to protect wild horses and provide alternatives to horse slaughter. Recently, the Richardson Center for Global Engagement played an instrumental role in the successful release of Marine Sgt. Andrew Tahmooressi from prison in Tijuana, Mexico. Before being elected Governor of New Mexico, Richardson was Chairman of Freedom House, a private nonpartisan organization that promotes democracy and human rights worldwide, and served on the boards of the National Resource Defense Council and United Way International. He has been an adjunct professor at the John F. Kennedy School of Government at Harvard, and has received several honorary degrees from institutions of higher learning that include Tufts University and the University of New Mexico. As Governor, he taught courses at the University of New Mexico and New Mexico State University; this year, he will teach courses at the Fletcher School of Law & Diplomacy and Columbia University. More recently, he was given the National Hispanic Hero Award by the U.S. Hispanic Leadership Institute. As Governor of New Mexico, Richardson’s bold governing style moved New Mexico forward in several important areas, including clean energy, education, transportation, healthcare, immigration, environmental protection and $1 billion in tax cuts to New Mexicans. He vastly improved the state’s job numbers and improved economic development by bringing the movie industry to New Mexico, which resulted in more than 140 major film and TV productions. He also built a light-rail system from Albuquerque to Santa Fe, and partnered with Virgin Galactic to build a commercial spaceport. During his administration, more than $1 billion was invested in public schools, including professional salaries to recruit and retain quality teachers. He also shifted education money away from the administration and into the classroom, and increased access to early childhood education. In 2010, he was named the “best education Governor” by the National Education Administration. Few can match Bill Richardson’s wide-ranging experience and dedication to protecting and improving human rights, and improving the quality of life for the people of New Mexico, the United States and the world. Richardson has been married to his high-school sweetheart, Barbara, for 43 years. He received a BA from Tufts in 1970 and an MA from Tuft’s Fletcher School of Law & Diplomacy in 1971. Thomas Brooks is a Founding Partner of Anthem Energy, LLC, a private investment firm focused on North American energy investments. From 2001 to 2008, Tom served in a variety of executive officer roles at Constellation Energy Group, Inc., including Vice Chairman & Executive Vice President. He was also President of Constellation Power Source (Constellation’s marketing and trading unit) and President of Constellation Energy Resources (a subsidiary that included non-nuclear power generation operations, wholesale and retail energy marketing and trading, and business development). Prior to joining Constellation, Tom was a senior member of the team that developed Goldman Sachs’ domestic power business within Goldman’s Fixed Income Currency and Commodities Division. Prior to joining Goldman, Tom was a founding partner of two successful start ups: AERX, Inc., which was sold to Enron in 1992; and Elm City Management, LLC. Earlier in his career, Tom worked as a geophysicist, engaged in oil and gas exploration. Tom earned a B.S. from Yale University and an M.B.A. from the Yale School of Management. Scott Helm is a private investor based out of Baltimore. Previously, Helm was a founding partner of Energy Capital Partners, a private equity firm focused on investing in North American energy infrastructure. Prior to joining Energy Capital Partners, he served as executive vice president and chief financial officer at Orion Power Holdings, Inc., a publicly listed company that owned and operated power plants. Before that, he worked as a consultant to the private equity consortium leading the acquisition at Texas Genco. Helm began his career at Goldman Sachs & Co., first working in the company’s fixed income division then moving to the investment banking division. He received a bachelor’s degree in business administration from Washington University. Helm serves as treasurer on the board of the Chesapeake Shakespeare Company. We make controlling equity investments in middle market energy opportunities including operating gas fired power plants, operating and late stage development renewable projects, electricity transmission and distribution assets, and demand side resources such as grid optimization, distributed generation, and customer supply businesses. Milepost Power Holdings owns and operates a 446 MW fleet of natural gas fired combined cycle, combustion turbine, and reciprocating engine power plants located in Massachusetts, Connecticut, Rhode Island, New Jersey and Montana. Milepost’s plants provide critical reliability service to the electricity grid and can generate enough power to supply more than 360,000 homes. 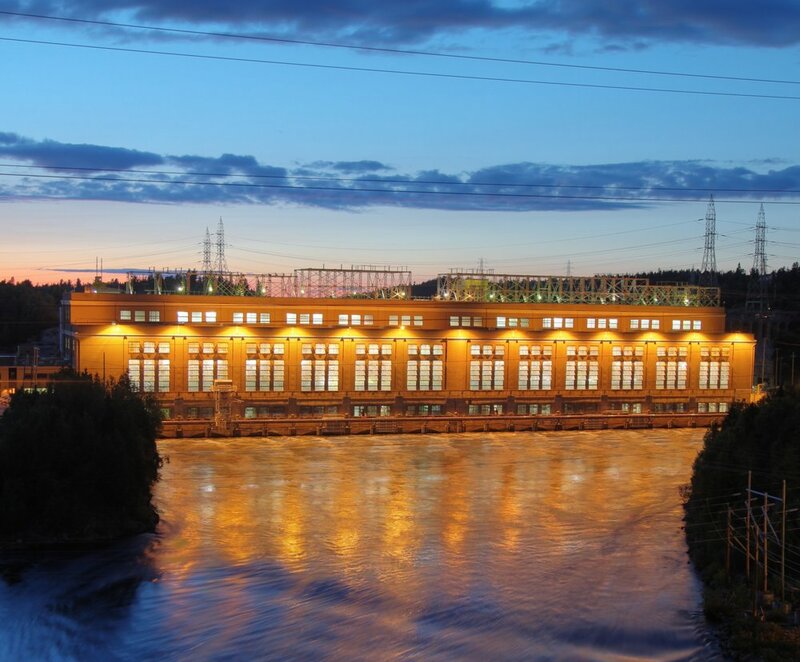 Central Rivers Power owns and operates 14 hydroelectric power plants with a combined installed capacity of 86 MW in central New England. The facilities are located on the Androscoggin, Chicopee, Connecticut, Deerfield, Merrimack, North Branch, and Pemigewasset Rivers. Central Rivers provides reliable, low-carbon energy to the regional power grid. Have a business you'd like to sell? Hull Street Energy is always looking for opportunities in the energy sector. Email us at txn@hullstreetenergy.com with transaction inquiries.